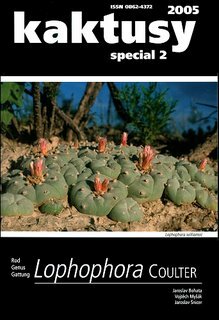 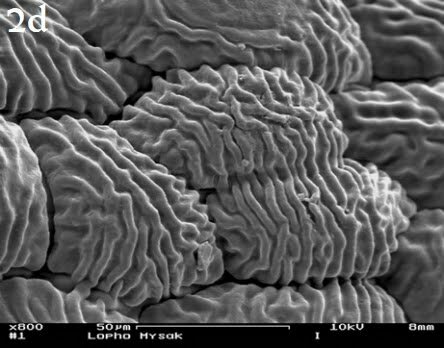 Šnicer, Bohata and Myšák recently expanded on their original description of the miniature peyote, Lophophora alberto-vojtechii, in the article The Littlest Lophophora – an article that also proposes a new key to the classification of Lophophora. 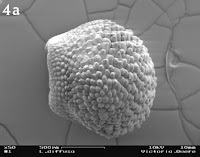 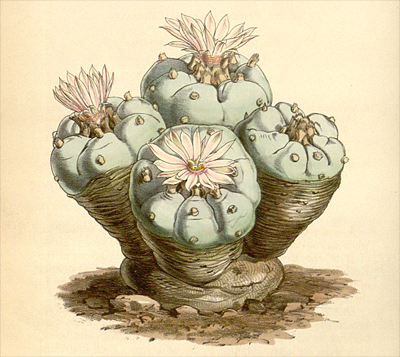 The hallmark of the new peyote species is its minuscule size, rarely exceeding 2.5 cm (~ 1'') in diameter. 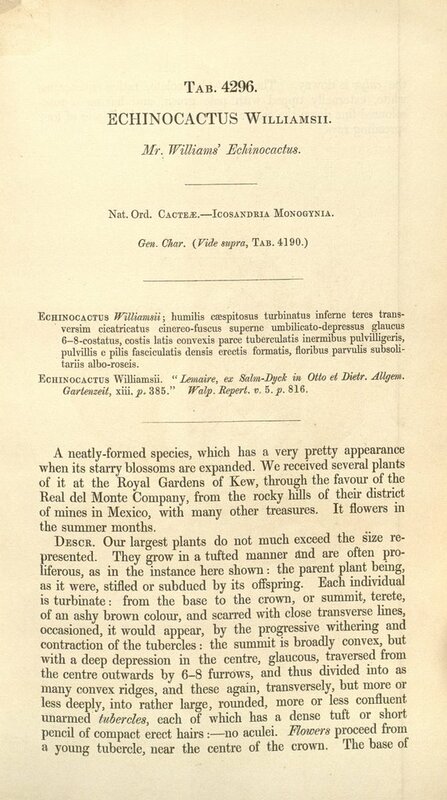 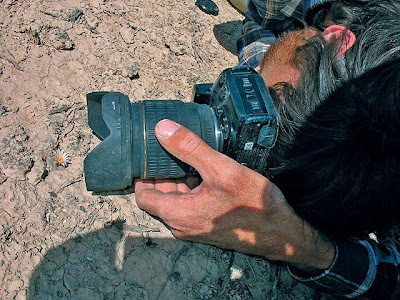 The Lilliputian stature is eminently illustrated by the following picture of Vojtěch Myšák (one of the persons for whom the plant is named) photographing a specimen in northern Zacatecas. 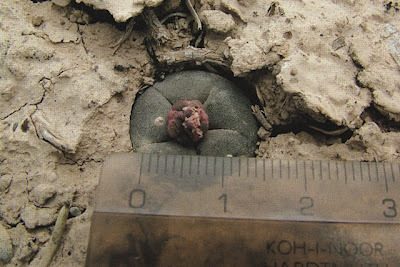 The stem is grayish green with a touch of mauve and is for the most part concealed below ground. 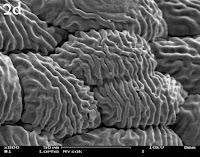 The aboveground part (the crown) is flat to slightly convex and 10–50 mm wide in adult plants (average 18 mm, well under an inch). 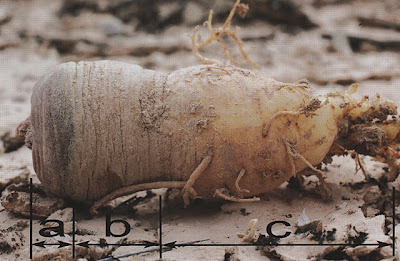 The subterranean part of the stem is cylindrical, extending 25 mm down from the base of the crown (the depth in adult plants increasing with age). 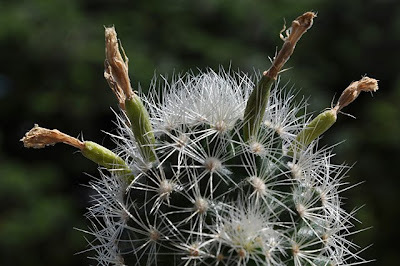 The stem is distinctively small and divided into five ribs, or eight in exceptional cases. 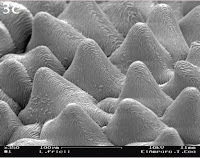 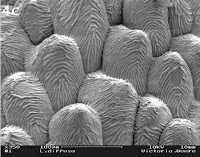 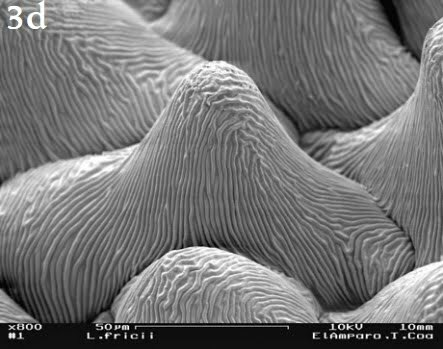 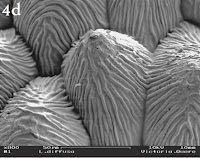 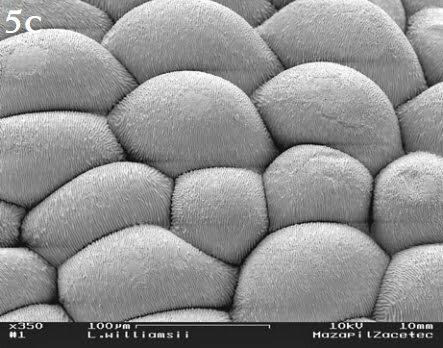 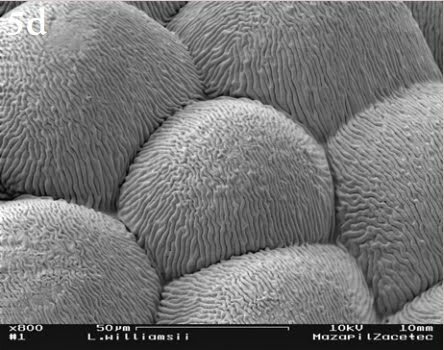 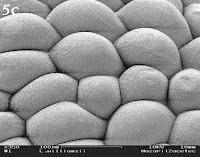 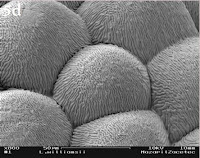 Trichomes (fine epidermal outgrowths which might be called fuzz or hair) are visible only near the growing point and drop off early, leaving the areoles inconspicuous. 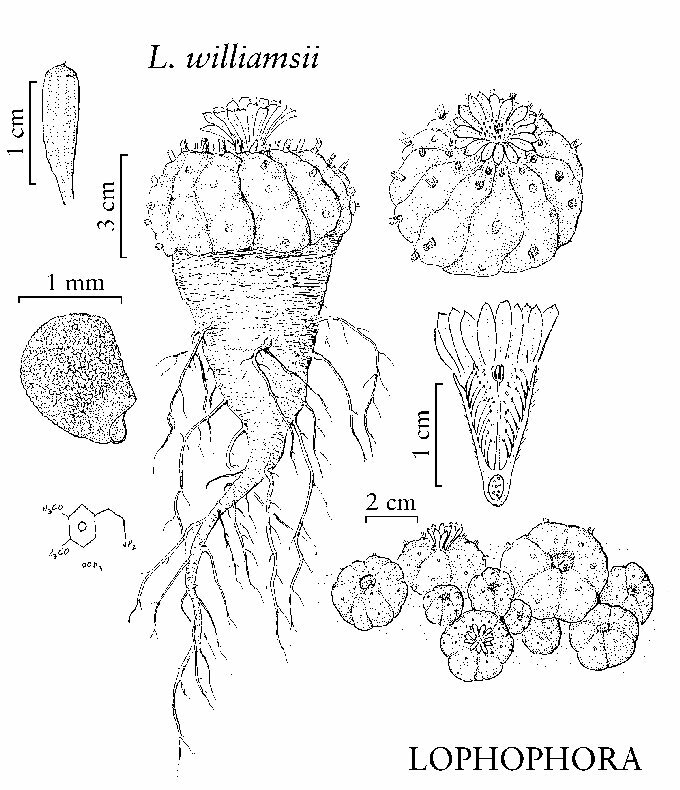 The root is thick and bulbous, up to 30 mm long, and typically 16 mm in diameter where it joins the subterranean stem. It is smooth and a dirty white to creamy yellow color. 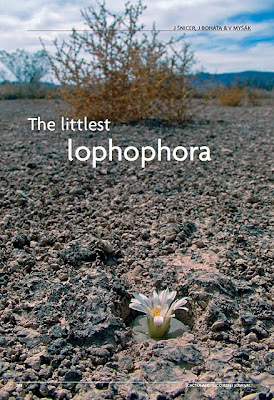 The flower is 15–35 mm (average 23 mm) wide. 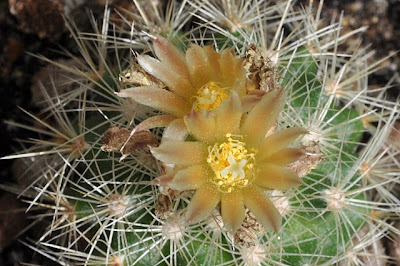 The style is longer than anthers and overtops them, and the petals are long relative to their width, both traits in accord with other members of the Diffusae. 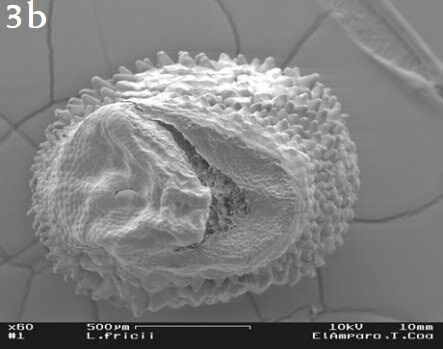 Filaments are white, anthers a yellowish orange. 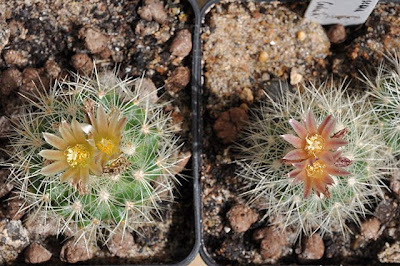 The style is white and topped by a white to yellowish or pinkish stigma. 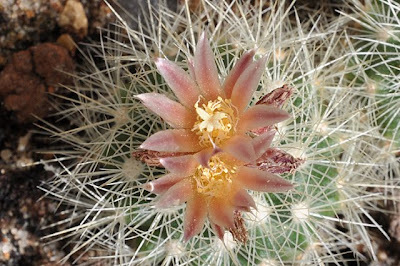 Tepals are white to dirty pink, rarely creamy yellowish, and bear a lengthwise stripe in a brownish, salmon, or darker pink shade. 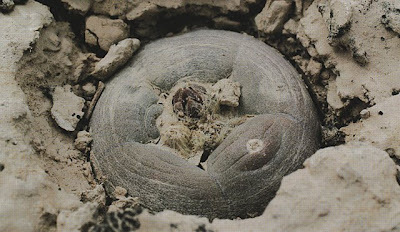 The fruit, dirty white, yellowish, or pinkish, is round to slightly claviform and dries out over time. 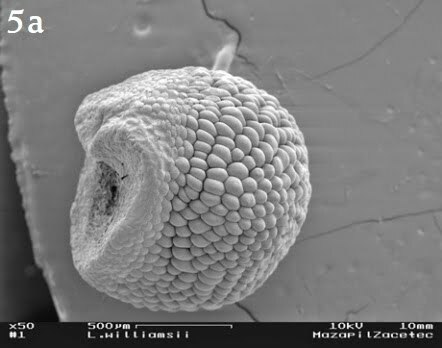 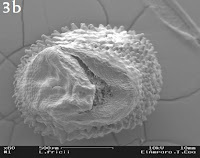 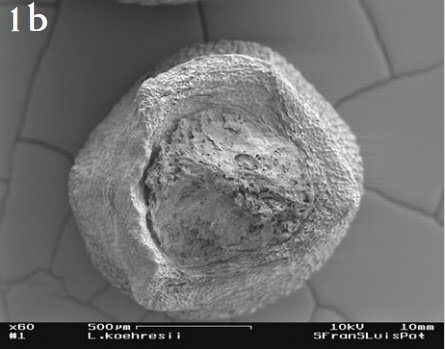 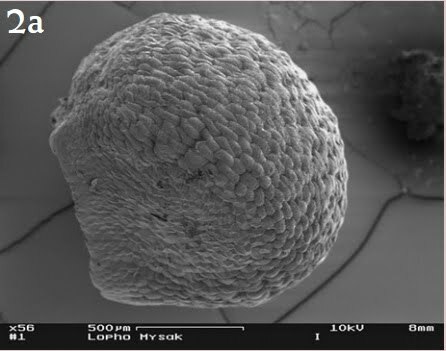 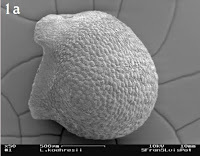 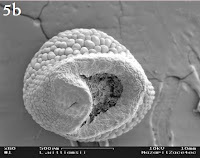 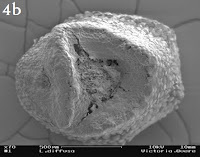 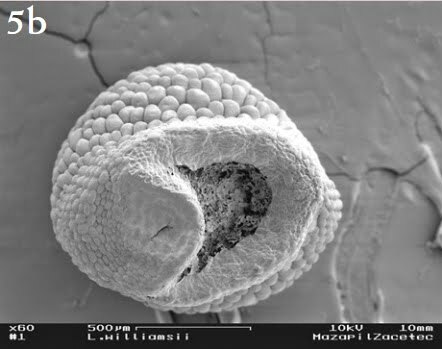 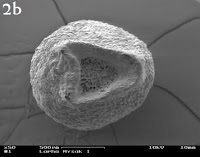 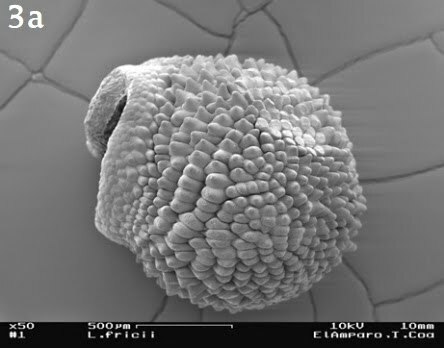 Seeds are black, round, 1.15–1.45 mm long × 1.0–1.45 mm wide with the hilum compressed into a broad V–shape. 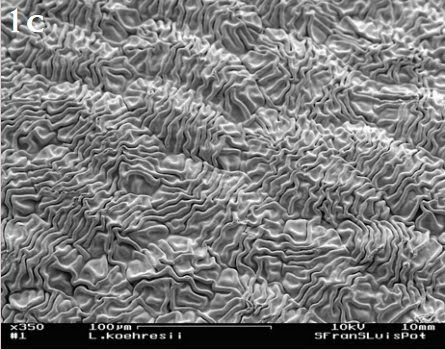 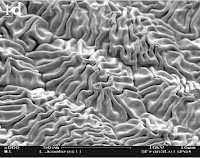 The perimeter of the hilum consists of a pronounced edge. 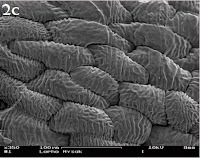 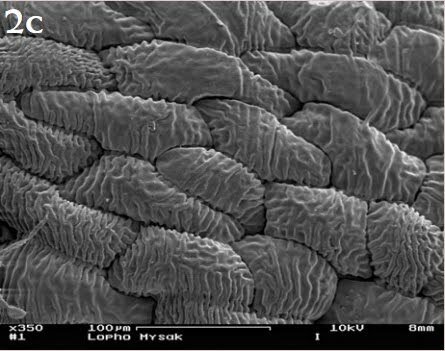 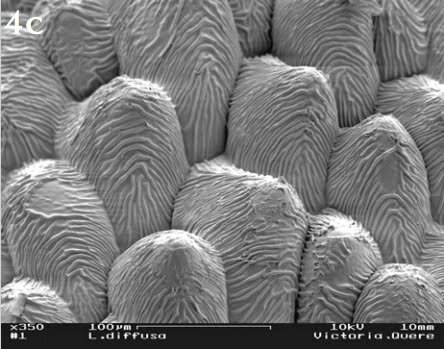 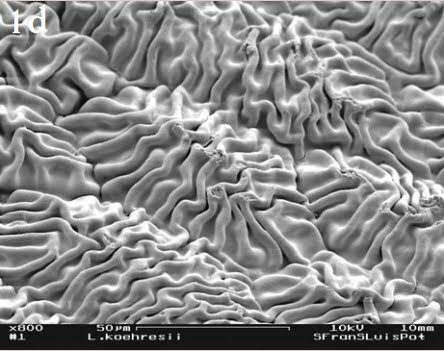 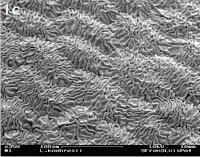 The testa is nodulated, and individual cells of the testa are clearly demarcated. 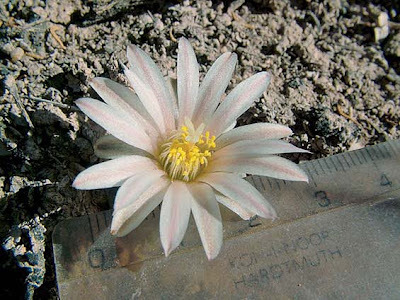 Type locality: northern San Luis Potosí, Mexico, 1700 meters above sea level. 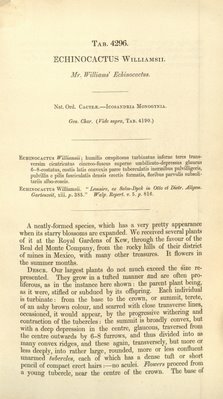 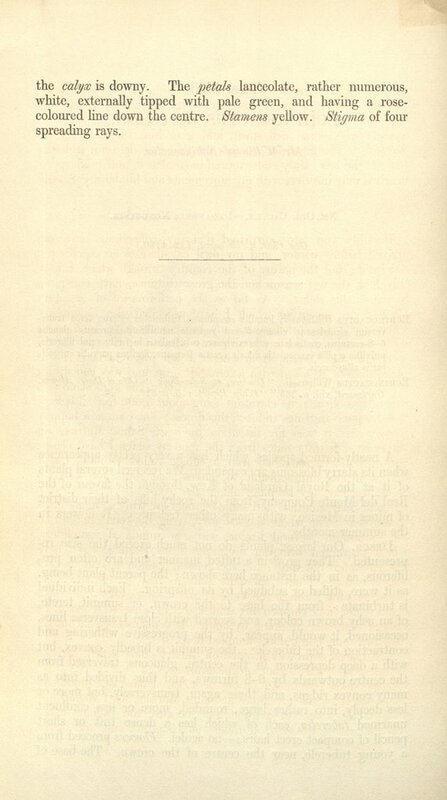 The type specimen was collected by GS Hinton on 1 August 2007 and is kept at the GB Hinton herbarium filed under number 28642. We have named the plant Lophophora alberto-vojtechii in honor of two people: the late prominent Czech traveler and cactus-hunter Alberto Vojtěch Frič and the living lophophora enthusiast Vojtěch Myšák. 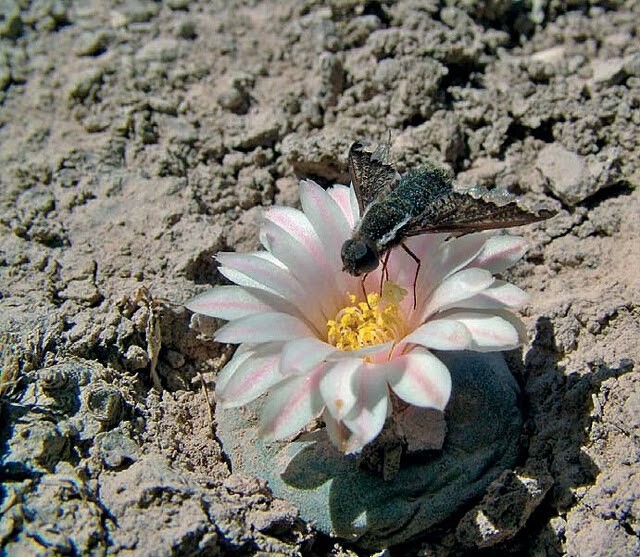 Three insects (two kinds of bees, one large and one small, and an unidentified diptera) have been observed visiting flowers of Lophophora alberto-vojtechii. 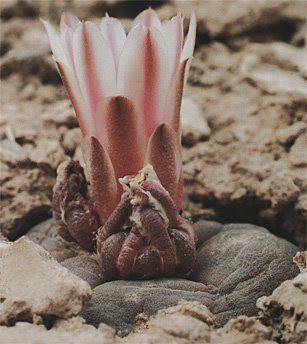 The plant being visited by a fly in the above picture is from the second known locality in San Luis Potosí and has exceptionally numerous tepals. 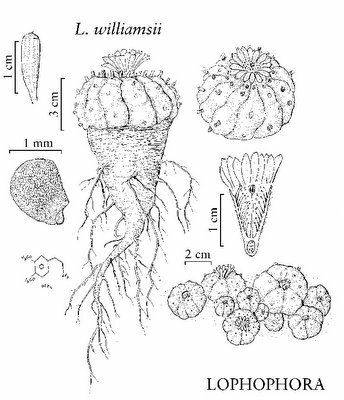 The mini-peyote grows in flat, alluvial sediments that transform into greasy mud flats during rain periods. 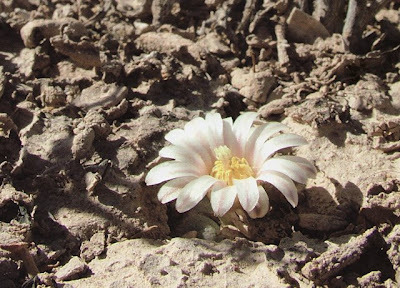 L. alberto-vojtechii has a distinctively geophytic lifestyle, in dry periods it withers and withdraws into small cavities below ground where it is covered with dust and dry leaves by the wind, effectively protecting the plant from the harsh environment. When rains arrive, the plants absorb water and swell, pushing the photosynthetic crown back up above ground level. 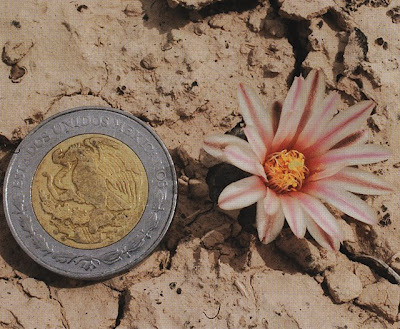 In Zacatecas L. alberto-vojtechii flowers can on rare occasions reach over 3 cm in diameter, totally obscuring the plant below - specimens of L. alberto-vojtechii from the plains of northern Zacatecas are lighter flowered than those at the type locality. 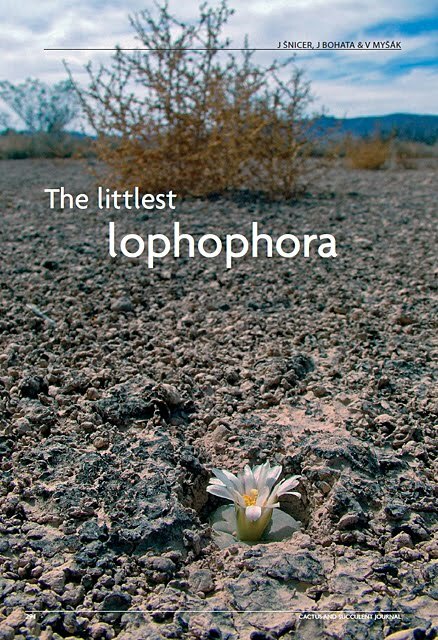 All pictures are taken from the article The Littlest Lophophora. 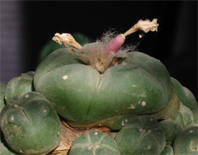 I just noticed that Köhres has updated his Lophophora information page. A lot of Lophophora photos ordered by state, location and species can be found by selecting "Bilder am Standort" (photos from the growing locations) and then "Los geht´s". 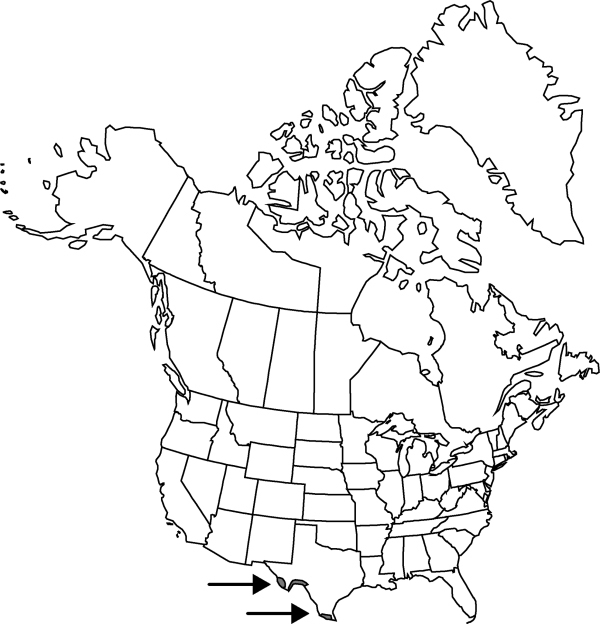 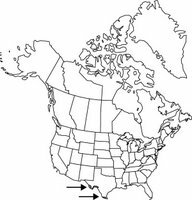 This takes you to a map of Mexico where you can select a specific state. From the state page you can select a location (from the "Standorte" list). 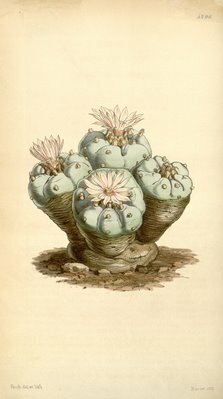 If more than one species grow in a given state, e.g. 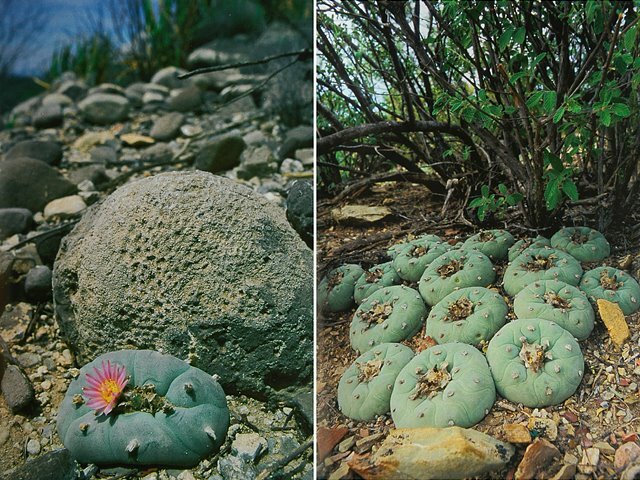 Coahuila or San Luis Potosi, the locations for the species are differentiated using color.